Today’s figure is a wizkids deep cuts from the pathfinder battles line. He is a dwarf sorcerer wearing a ringmail coat, cloak, quiver with staves, bracers, wielding a staff and casting a spell. 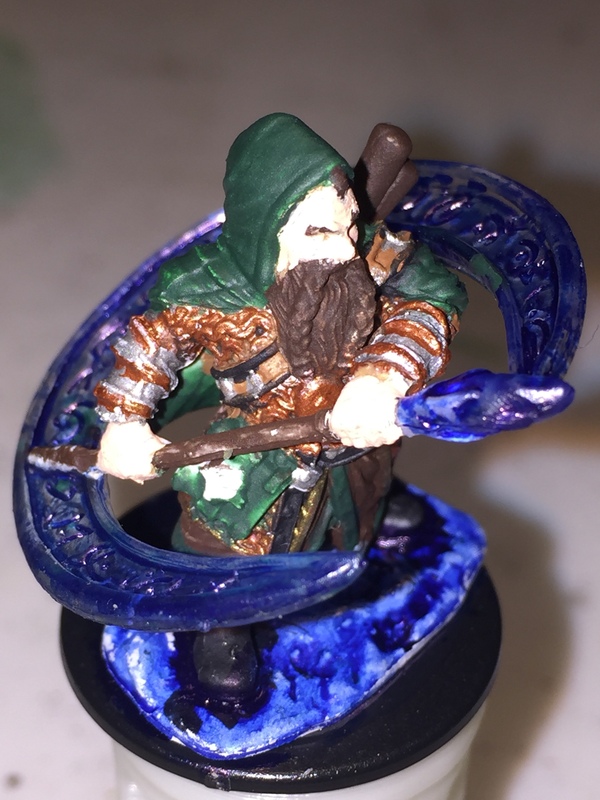 I painted him for my husband to use as his new character.